For most iPhone users, setting passwords has been an indispensible part of their digital life. We use passwords to secure iPhone from spying eyes, lock backups to protect personal information, encrypt network to kick out net breakers etc. However, sometimes we may forget the password or confuse different passcodes; our lives just become a mess. Luckily in this post, you’ll find almost all forgot iPhone password solutions. Forgot iPhone passcode and locked out? iPhone is disabled after too many password attempts? You can use “Find My iPhone” feature; restore iPhone from iTunes backup or to factory settings to get into your locked iOS device quickly. Forgot Apple ID password could be a little severer as we use Apple account in many applications. You can go to Apple ID account page to reset Apple ID password with the verified email and security questions. Try to restore iPhone from iTunes backup but don’t know the password? iTunes asks for a password to unlock a backup that you never set? 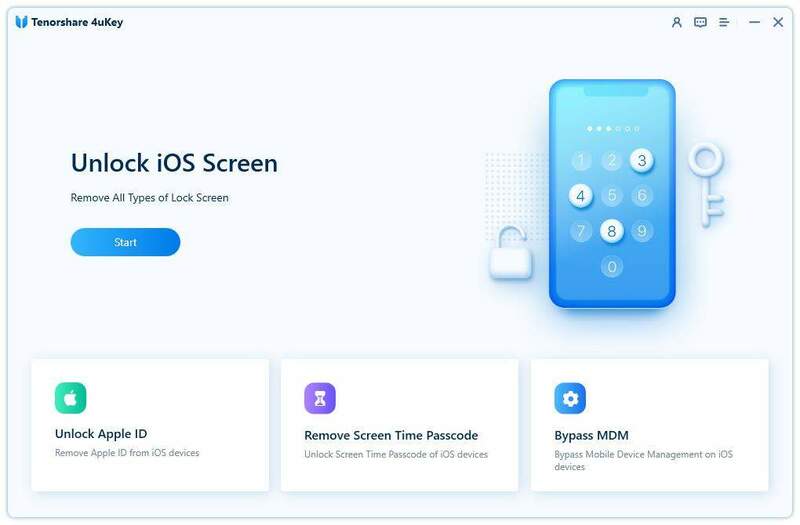 With an easy tool called iPhone Backup Unlocker, you are able to recover or remove iTunes backup encryption password on Windows within minutes. Download and install the program on your compute, run the software and import the encrypted backup. Select a password attack type and set the attack types. Then click “Start” to recover lost iTunes backup password. Some users even didn’t know there’s a voice mail password until they got a message “Password Incorrect. Enter voicemail password”. This issue occurs when the wireless provider of your iPhone is AT&T. Reset the voicemail password to stop this annoying message. Go to Settings -> Phone -> Change Voicemail Password. Now you can enter a new voicemail password. If this doesn’t work, give your wireless provider a call. Go to Settings and tap “Wi-Fi” to see the Router ip address. Open safari and then type the Router ip address to get into the Router login panel page. Now you can login with the default password. iPhone restrictions is used to prevent access to specific apps or features. Once you forgot the password, some restricted apps on your iPhone will become inaccessible. You can try to recall the passcode, like the login passcode or Apple ID password. If you can’t come up with the password, following are the guide about how to reset restriction password on iPhone X/10/8/8 Plus/7/7 Plus/SE/6s (Plus)/6. Back up iPhone in iTunes and then go to Settings -> General -> Reset, press “Reset All Content and Settings” to erase iPhone. Then you can restore all the data from iTunes and then go to Settings -> General -> Restrictions to set up a new password. Many people are used to collecting information or taking notes on iPhone. Since the information in Notes is pretty important, most people set a password to lock the files. If you are one of those who forgot the password, you can unlock the files with the following steps. Open Settings from the Home screen, tap Notes and then tap Password -> “Reset Password”. Enter your Apple ID password and then you can type a new password and verify it. Guided Access is a great feature to lock apps on iOS devices without jailbreak. It lets you to keep your iPhone in the same app when you hand it to someone else. However, if you forgot the password, you’ll find the iPhone stuck in Guided Access mode. To get iPhone out of Guided Access stuck, you can perform a soft reset by pressing Home button and Power button (For iPhone 7/7 Plus, press Home button and Volume down button) together for 10 seconds and the issue will gone. To change forgot guided access passcode on iOS 10/11 devices; go to Settings -> General -> Accessibility -> Guided Access. Tap Guided Access and Passcode Settings to enter a new password. Once you entered the mail account on your iPhone and typed into the password, they will be saved on your device. As we don’t need to type password every time, it is likely to forget it. If you have updated iPhone to iOS 10 or later, you are not able to change Gmail, yahoo or Outlook password on iPhone directly. You can sign in email account in a browser to change the password and then enter the new password on iPhone. Facebook is a very popular social communicating application for many iPhone users. Forgot the password for Facebook, you’ll not be able to reply to your friends timely or share a moment of your daily life. Luckily, you can easily reset forgotten password on Facebook account with the steps below. Open Facebook on iPhone, tap “Need Help?” -> “Forgot Password?”. Enter email address or phone number and select an account recovery method: Send code via email or Send code via SMS. Now enter the code you get and click “Continue” to set a new password. Just like Facebook, Twitter is also a popular application for most iPhone users. If you lost the password for your Twitter, you can change a new one with the following instructions. On the Twitter login page, click “Forgot Password” and then select username. This allows you to reset Twitter password without email or phone number. Choose a recovery method and click “Continue”. Click “Reset password” and enter a new password. Snapchat has gained a lot of fans due to its instant destructive features. This app also need an account to login. If you are a Snapchat lover and unfortunately forgot the password, you can reset a new one via email or text. Tap “For Your Password” and then select a resetting mode (email or text”). Then you’ll receive a password reset link via email or a code from text. Click the URL or enter the code to set a new password. Kik is one of the messages apps that need you to create an account and login before sending messages to your contact. Whether you just forgot or you’re concerned that there may be a security risk on Kik, you can easily change the passcode with the simple steps below. Go to the login page on Kik and tap “Forgot?”. Now you’ll get into a new page that lets you to reset password. Enter your username or email and you will receive a link. Simply click the link and set a new password. Open Instagram, tap “Get help logging in” and then you’ll asked to enter username or email address to get back into your account. Open your email and click the link you received to get into Instagram easily. In this article, we’ve gathered you 14 forgotten password solutions for iPhone X/8/8 Plus/7/7 Plus/SE/6s (Plus)/6 (Plus)/5S, iPad and iPod touch. If you have any other password problems, don’t hesitate to contact us.